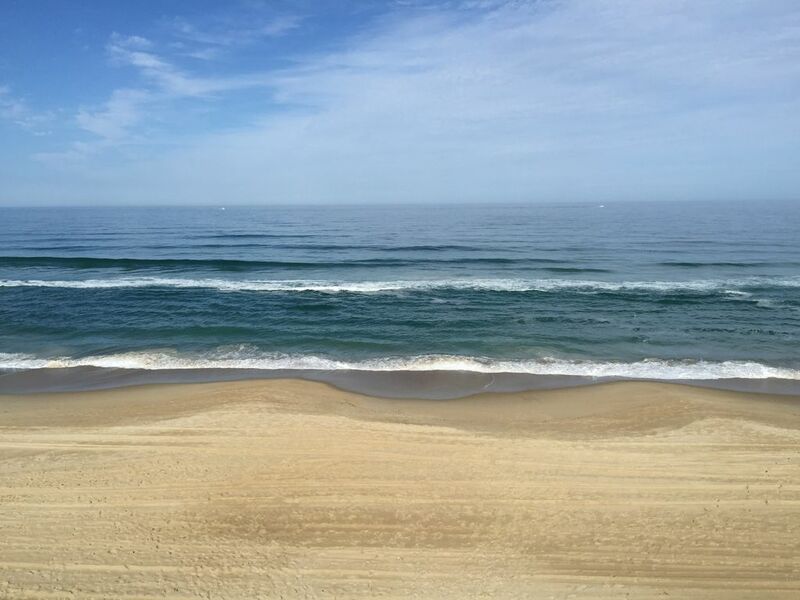 PierView a tout ce dont vous avez besoin pour profiter de vos vacances à la plage Outer Banks! Nous avons le meilleur accès à la plage à Nags Head. C'est littéralement à quelques pas de la plage! Il y a des douches et des bains de pieds à l'extérieur pour vos pieds de sable. Si vous aimez les piscines d'été, PierView dispose de deux piscines fantastiques sur place. Il y a aussi une aire de jeux pour les enfants et une zone de grillades avec quatre barbecues au charbon de bois. Profitez de la brise de l'océan tout en vous relaxant sur votre balcon. Passez vos journées à pêcher, nager, ramasser des coquillages et profiter du soleil! NIVEAU DU SOL: Parking, Piscine communautaire. NIVEAU 1: Salon, cuisine, salle à manger, Queen Chambre des maîtres avec jacuzzi, chambre avec lits jumeaux, salle de bain complète. A wonderful place to spend time at the beach! We absolutely loved the quiet location and proximity to the beach. Large balcony was awesome for us and our dog. View of the pier is a bonus. Kitchen was stocked with all the necessities for cooking. We can’t wait for another getaway to the same spot. Mike and Lisa are awesome to work with!! A very great location! Clean and comfortable. What a nice location. The sunsets and sunrises were wonderful. Nice balcony on third floor offered a great view. Watched the surfers also. Glad they had an elevator as it was on the third floor. We took our dog and they had a nice walk area provided for him. All of the guests loved it. First things first; for the location, amenities, VIEW and price, this place is the best place in South Nags Head (especially if you have furry kids!)!! We were so comfortable and happy with the condo, we can't wait to come back again. There are certainly things that could be updated but nothing major and they have no baring on the functionality of the condo. We dealt mostly with Lisa and she was excellent! She even got us in the condo a few hours before our check-in time. Thanks Lisa, you made our 2017 Thanksgiving a great one! Condo was right on the beach and very nice. Mike and Lisa are super nice and we had a wonderful time! Very quiet this time of year and the dog had a wonderful time on the beach! Had a wonderful weekend a bit cloudy but that's ok we were at the beach. The condo would be a very nice place with some upkeep. We read this in the reviews prior to staying but were hoping they had fixed the place up due to the poor reviews on the condition of the place. It's a small but cute condo. However, the biggest issue for us was there was NO LOCK on either sliding glass door. There were two sliding glass doors facing the ocean (which was awesome) but no way to secure either one since the locks were broken. This was a MAJOR concern. We also didn't take towels with us because they told us they supplied towels. There were 3 of us and we had 4 bath towels for the week with TWO washcloths (for 3 people)! So take your own towels. You also were only given one dishtowel for the week. Further, the showers had very poor water pressure and the heads need replaced. Finally, it wasn't very clean when we arrived. The space beside the washer looked as if it hadn't been cleaned in quite some time. There was crumbs and other specks of things in the kitchen drawers and a dead bug on the counter when we arrived. Just a little work and upkeep and this would be a truly nice place. Couldn't beat the view though and LOVED the Outer Banks! We are very sorry about your experience, but why didn't you call us? We live on site and would have had extra towels and washcloths to you within minutes. We also have portable locking devices for the sliders. This is usually not a security concern since the sliders open to a private balcony on the third (top) floor of the complex. We do anything we can to make our guests happy, but they have to let us know if they have concerns. Also we have done many updates to the condo (new flooring, furniture, stove, w/d, porch furniture) and will continue to improve. Rates shown above do not include any processing fees for paying via PayPal.